The US causalities are gone….. 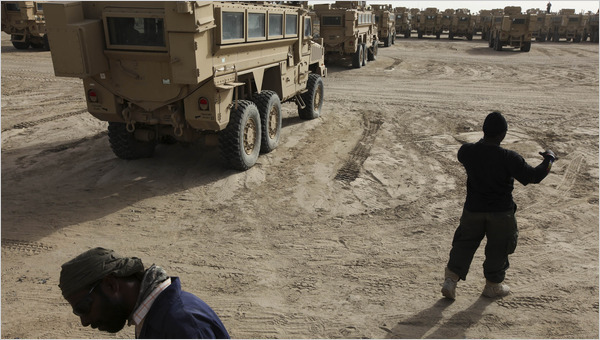 The Major push is to move US Troops, supplies and equipment home and over to Afghanistan…. But there has been bombings in the recent days …killing innocent civilians as the political chess moves involve violence, reprisals and disruptions….. The job in Iraq is not over..there are a lot of blood feuds to settle it would seem, and Iran…trying to exert influence in a war for power that Saddam Hussian fought for 8 years WITh US assistance…..
And it is occurring with the full knowledge the United States is busy packing its bags…looking to the East….. I told you folks…..Don’t expect all the troops to leave too soon…. The attacks, the deadliest in the capital since the March 7 parliamentary elections, come asIraq’s political factions are locked in a dispute over the outcome of the vote. Analysts say the violence could trigger a more intense round of fighting among the rivals that threatens to spill into the streets. The strikes against the Iranian, German and Egyptian diplomatic missions appeared to be a continuation of attacks that began in August against government and high-profile buildings that killed hundreds. But accusations started soon after Sunday’s bombings, with former prime minister Ayad Allawi’s Iraqiya bloc calling on the government of Prime Minister Nouri al-Maliki to “restore security” and blaming security forces for failing to prevent the attacks. “This is a serious crime in which the Iraqi people are being consumed in the process of what we can call the conflict over who should have the upper hand in Iraq,” political analyst Ibrahim al-Sumaidaie said. Maliki is struggling to hold on to power as his many rivals seek to dethrone him. His predominantly Shiite bloc came in a close second to Allawi’s secular slate but is trying to build a coalition large enough to form Iraq’s next government. U.S. Military recognizes that in the end 'soft power' wins…..Not guns and missiles….. The chairman of the Joint Chiefs of Staff said Wednesday that victory in Iraq and Afghanistan won\’t come in one glorious battle. 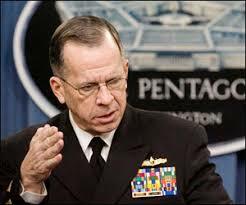 Instead, Adm. Mike Mullen told a Kansas State University audience, success in the long wars will be determined by use of military and diplomatic powers, along with support from U.S. allies. He said the U.S. intends to abide by its security agreement with Iraq and reduce the level of troops there by half to about 50,000 by August. Mullen, speaking as part of Kansas State’s Landon Lecture series, said the use of military power should never be the last option, but potentially the best first option when paired with other means of national and international power. He also noted ongoing operations in Afghanistan, where U.S. and Afghan forces have been embroiled in an offensive near Marjah to reclaim the area from Taliban fighters. Mullen said commanders were taking a deliberate approach to minimize civilian casualties in an area considered the hub of Taliban activity, rather than using carpet bombing or missile strikes. He said there was no ”American way” to fighting wars and that history shows the nation’s enemies will adapt to U.S. strategy. Mullen said the U.S. will reassess its Afghanistan strategy in December and adapt accordingly. Mullen’s lecture struck a tone similar to that of Defense Secretary Robert Gates when he was on the same Kansas State stage in November 2007. Both men said the United States must do more to encourage the use of ”soft power” to resolve conflicts. U.S. Military recognizes that in the end ‘soft power’ wins…..Not guns and missiles…..
What's the hurry in bringing troops under a certain level in Iraq? The Dogs says…..I told you so! Army General Ray Odierno has spoken something that any person with a half of a brain knew ……The Army has a plan to keep troops in that country AFTER President Obama’s stated deadline……and Odierno would make these statements without backing from the National Command Authorities…. Here’s some of the pierce from the Washington Post…Here’s the link…..….. Under a deadline set by President Obama, all combat forces are slated to withdraw from Iraq by the end of August, and there remains heavy political pressure in Washington and Baghdad to stick to that schedule. But Army Gen. Ray Odierno, the top U.S. commander in Iraq, said Monday that he had briefed officials in Washington in the past week about possible contingency plans. 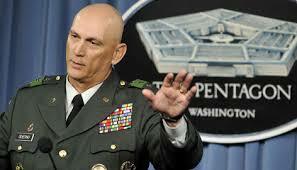 Odierno declined to describe the plans in detail and said he was optimistic they would not be necessary. But he said he was prepared to make the changes “if we run into problems” in the coming months. Iraqis are scheduled to go to the polls March 7 for parliamentary elections that Iraqi and U.S. officials describe as a political milestone for the country. With less than two weeks to go in the campaign, however, concern is rising over whether the results will be undermined by political boycotts, low turnout or an increase in bloodshed. Religious enmities and rivalries are already resurfacing. Although U.S. diplomats and military officials said they are working intensely behind the scenes to hold the political process together, they are finding that their influence in Iraq is steadily on the wane. Yea…but then there is this……..
Iraqi and U.S. officials have reported a spike in rocket attacks targeting the Green Zone in Baghdad and American bases. U.S. officials said Shiite militia groups have stocked up on rockets and other weapons, which they say are smuggled from Iran. American officials say it has become harder to understand the scope and dynamics of violence in Iraq now that the U.S. military has a small footprint in Iraqi cities. The Dog thinks in the end …about 30,000 troops or advisors or whatever will be hanging around to check the place from becoming a zoo……again…. What’s the hurry in bringing troops under a certain level in Iraq?